Abbott Laboratories (ABT) stock hit its highest point in two decades Wednesday and narrowly broke out after topping Wall Street’s quarterly expectations and raising its own outlook for 2018. On the stock market today, Abbott stock jumped 3.1%, to 64.75. The stock narrowly topped a buy point at 64.70 out of a flat base. Abbott shares advanced as high as 65.50, touching their highest point since at least 1995. But the medtech player lost steam in its cardiac rhythm management and neuromodulation units. Abbott likely ceded share to Medtronic (MDT) and Boston Scientific (BSX) in those businesses, Needham analyst Mike Matson said in a note to clients. For the quarter, Abbott reported adjusted profit of 73 cents a share on $7.77 billion in sales. On a constant currency basis, sales grew 8%. Adjusted profit grew 17.7%. Both metrics beat the average analyst view for adjusted profit of 71 cents a share on $7.73 billion in sales. The strongest growth came from Abbott’s established pharmaceuticals business, which only sells outside the U.S. Established pharma generated $1.13 billion in sales, rising 12.3%. That was close to analysts’ model for $1.14 billion, BMO Capital Markets analyst Joanne Wuensch said in a note to clients. Medical device sales advanced 8.2% to $2.89 billion, beating expectations by 2.5%, Evercore analyst Vijay Kumar said in his report to clients. But that slowed from 9.4% growth last quarter, Needham’s Matson said. Abbott said it expects to see high single-digit growth in medical device sales in the third quarter. Neuromodulation grew 5.8% to $222 million, but that lagged views by about $20 million and slowed from 18.8% growth last quarter. 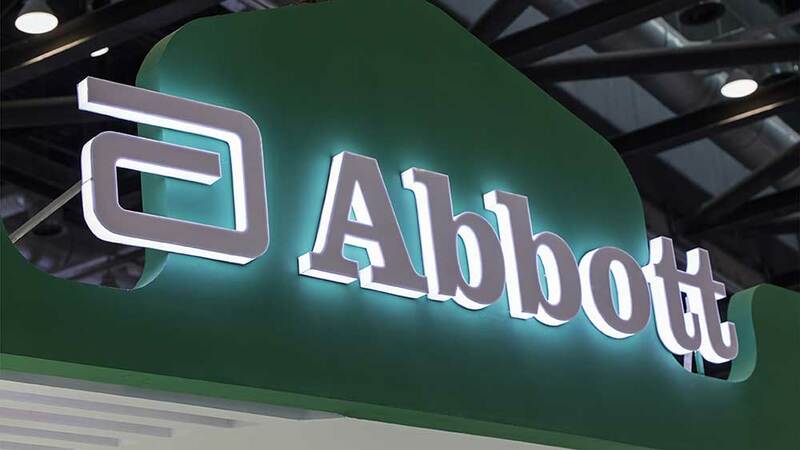 But Abbott believes its cardiac rhythm management sales could improve to be flat for the year and sees neuromodulation business returning to market growth. Diabetes care helped partially offset those tough spots, surging 33.6% to $470 million. Sales of electrophysiology devices grew 21.6% to $428 million. That beat the consensus for $406 million as growth accelerated from 18.6% in the first quarter, Matson said. “It appears that Abbott gained share from competitors,” he said. Diagnostics sales rose 6.6% to $1.87 billion. The best growth came from core laboratory sales, which advanced 7.7%. Meanwhile, nutrition sales generated $1.86 billion, growing 6.4%. In the pediatric unit, Abbott noted strength in several Asian countries and Latin America. Nutrition sales beat expectations by 2.4%, Evercore’s Kumar said. Diagnostics sales missed by 1.3%. For the year, Abbott raised guidance for adjusted earnings to $2.85-$2.91 per share. At the midpoint, that topped the consensus of analysts polled by Zacks Investment Research by two pennies. Third-quarter guidance for 73-75 cents lagged by 1 cent at the midpoint. How Much Volume Should You Look For In A Stock?